What Dubuque Photographers Wish You Knew About Group Photos. The more people you add to the photo, the more likely something will go awry. One person may have blinked at the wrong moment, another may not have been ready and forgot to smile. Some people even have a false sense of being "hidden in the crowd" and won't bring their best to the photo. When you have a group of professionals, you're bound to have conflicting schedules. Between everyone's individual appointments and meetings, finding a day when each person is available at the same time can feel like tracking down a mythical creature. Every group photo for your business has a time limit on it. For most businesses, the people involved will inventually change. One person may move, another may join... when this happens, you're group image instantly becomes out dated. But there is good news! Elite Images can solve all of the above. So what's the solution to finding that perfect image for your business? 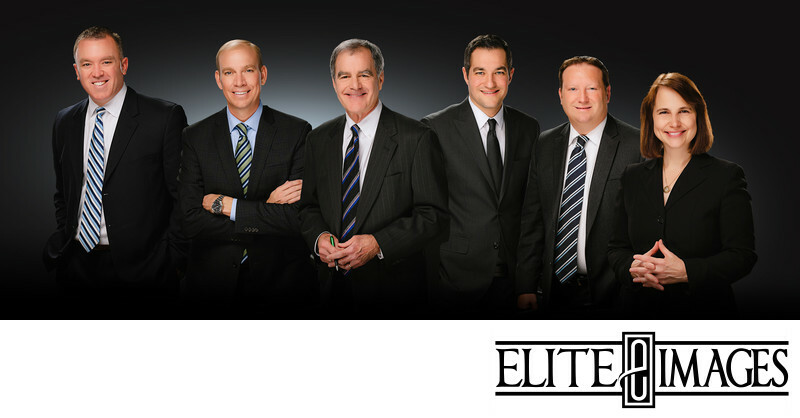 Elite Images' Corporate Composite Portraits is the best way to make sure everyone looks their best. And it's virtually hassle free! Each individual can schedule to have their portrait taken at a time that works for them. This allows everyone to have the freedom to schedule a time to come into the Dubuque photography studio independently, so there are no conflicts. During their portrait session, each person also receives the full attention of the photographer, guaranteeing that he will be able to capture their best self. Then each individual has the ability to pick out their favorite image. After each person has their favorite individual portrait selected, the photographer digitally composites the portraits into a single image. This allows you to have the look of a group portrait without all of the struggle of getting everyone together. Another perk of this method is that, should the people of your group change, we will be able to take out or add any individuals at a later date, guaranteeing that your image will stay up-to-date without everyone needing a new portrait taken. Corporate Composite Portraits by Elite Images are group photos made stress-free!